An independent evaluation of OLPC pilots in the Solomon Islands gets underway in the country's remote Western Province this week, marking an important milestone in the application of ICT in basic education in the Pacific. 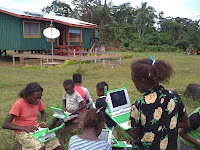 The evaluation of OLPC deployments in three village schools in Marovo Lagoon has been commissioned by the country's Ministry of Education and Human Resources Development (MEHRD) and will be conducted by the Melbourne-based Australian Council for Educational Research. 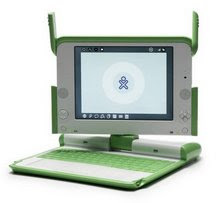 ACER is the publisher of the OLPC Global Literature Review, the only comprehensive account of evaluation of the XO. ACER's work will address the government's own Measurable Objectives and evaluation framework. The Solomons' have taken a deliberate and methodical approach to monitoring and evaluation of OLPC since the pilots were deployed in July 2008. It's an approach that has attracted the watchful attention of both donors and the more than 13 other Pacific countries which are introducing OLPC. For an ongoing account of OLPC evaluations around the world, the blog of World Bank ICT and education specialist, Michael Trucano, is well worth bookmarking.